Ayr got back to winning ways in the BT Premiership but they were made to fight every step of the way by Stirling County at a mild Millbrae on Saturday. 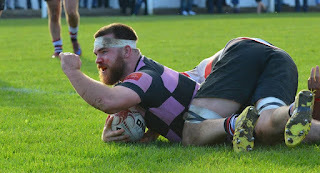 With the lion's share of possession early on, Ayr waited patiently until they could find their way through the County defence, George Hunter - a prop starting at flanker - getting over the line for a try. Frazier Climo's conversion attempt hit the post. 5-0. Ayr were without second row Scott Sutherland for part of the first half as a cut to the face within minutes of kick-off left him being stitched up in the clubhouse. Craig Brown, a late addition to the squad, replaced him. 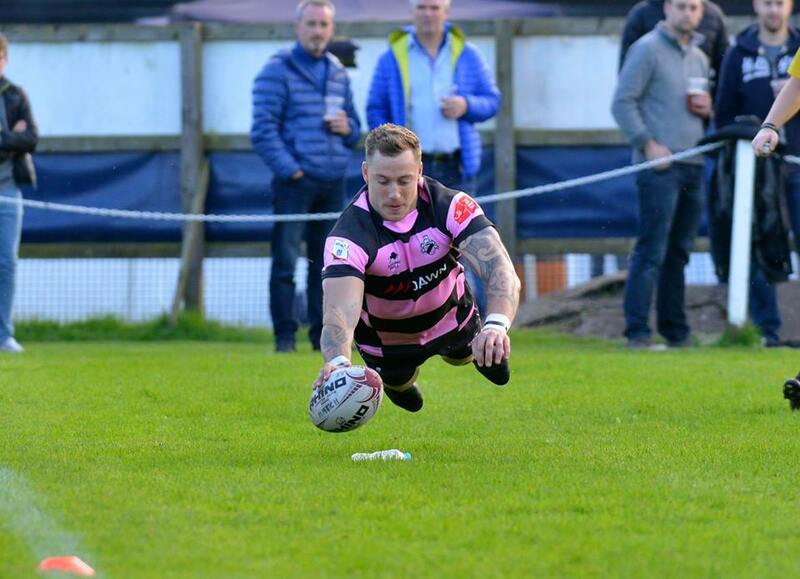 There was nearly another try for Ayr when flanker Will Bordill hacked on a loose ball and centre Ross Curle chased, but even though he touched it down, the score was disallowed. Prop Steven Longwell and centre Danny McCluskey were in the thick of the attack, moving the ball at pace. Scrum-half David Armstrong, stand-off Frazier Climo and Curle were quick with their hands too, tidying up a messy line-out. Ayr redeemed themselves by stealing County's. Climo stretched Ayr's lead with a penalty after Stirling were caught offside. 8-0. The visitors hit back with a scything run by centre Fraser Lyle, and winger Matt Lamb racing away for a try that full-back and captain Jonny Hope converted. 8-7. They were off again moments later, stand-off Ross Jones strolling in for the score. Hope added the extras. 8-14. 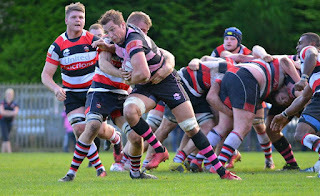 Ayr began to get the upper hand at the scrums though, number eight Blair Macpherson getting his hands on the ball to let Armstrong, McCluskey, Climo, Hunter and second row Craig Stevenson to muscle their way to the line. It was winger Richard Dalgleish who used his strength to get through the defence and score. Climo couldn't convert. 13-14. Ayr lost McCluskey to injury, Stafford McDowall replacing him. 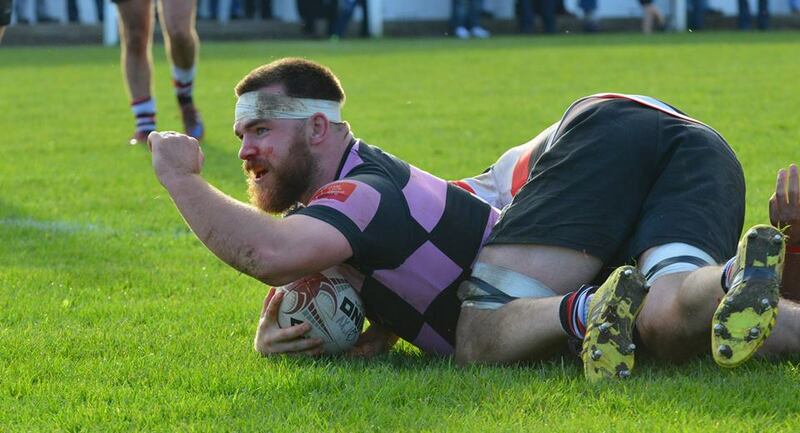 A knock-on by Ayr gave Stirling a scrum in their own twenty-two but a huge shove by the pink and black pack allowed Macpherson to simply pick up the ball and score. Climo converted before half-time. 20-14. Ayr started the second half at lightning speed, Curle and wing Craig Gossman dancing up the touchline. Captain Grant Anderson scored. Climo's conversion hit the post again. 25-14. Hope had a kick at goal but to no avail before another shot was successful. 25-17. They gave away a penalty themselves shortly after and Ayr took the line-out. Prop D'arcy Rae spotted a gap and fended off tacklers to score under the crossbar. Climo converted. 32-17. Jamie Bova replaced Dalgleish on the wing as County were starting their fight back but a huge tackle from McDowall dislodged the ball from a Stirling hand. Bova took it to Curle before Gossman scurried round the defence to get it to Anderson who slapped the ball over his head for Bova to take it on again. Unfortunately, he was bundled into touch. The home team lost another player to injury, with Bordill limping off to be replaced Gregor Henry. Gossman followed McDowall's lead and his thump on a Stirling attacker forced a knock-on. Bova and Curle launched themselves at the scrambling visiting defence until Armstrong cleared. Stirling might have been spooked by Ayr's poaching prowess at the line-out as they twice took the quick option in a matter of minutes. They made for the line with determination but a couple of handling errors denied them any points. Ayr quickly moved the action out of their own half and drove for the try-line only to be held up. Two more scrums and Anderson got over for the score. Climo had been helped from the field minutes before with a leg injury, so Curle stepped up to the tee and converted. 39-17. Gossman, Anderson, McDowall, Curle and Dalgleish (back on) sprang for the line but so keen were Ayr to get to there, they were almost tripping over each other. The ball got to Bova and he raced away for a try, which Curle converted. 46-17. Stirling weren't out of it yet, their backs on the scent of a score. Indiscipline by Ayr reversed a penalty, and County secured the line-out. Wing Craig Pringle put his foot down and got the try after side-to-side play. Hope couldn't convert in the last act of the match. 46-22. Ayr retained the Cairdeas Quaich, which the two clubs play for to mark the friendship between them. Final score: Ayr 46 Stirling County 22.